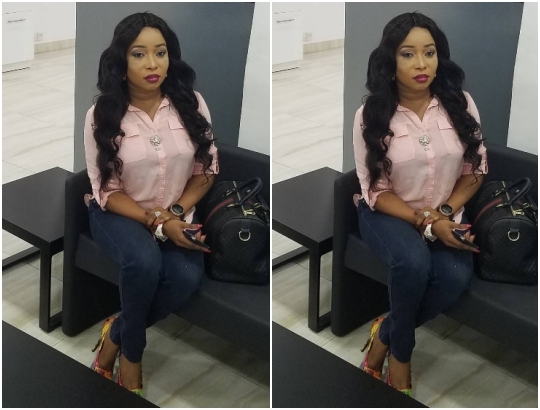 Actress, Liz Anjorin threw a shade at unmarried 30-year-old women who take sides in marital issues as she reacted to domestic violence. "If you are above 30 and you are still single and haven't taste marriage before and you are taking side in Marital issues, my dear you need MFM deliverance. Note, we are all ANIMAL bcos some of us cannot even yield to our parent advice/corrections. Let your relationship that bring evil, sadness and didn't add any value to your life between your husband/wife/family even your parent END in PEACE not in PIECES.. I won't stand by anybody, I stand by peace.. I will be glad if Government can enforce 6months counselling on Marital Affairs‎ before any Marriage.. A broke husband/boy friend is not different from a mad man in ARO(Psychiatric). A broke man is an evil to himself and a demanding wife/girl friend is a witch in disguise‎ believe it or leave it. #saynotodomesticviolence #killthedomesticanimalinyou"